In this podcast I sit down with artist Juicy J to discuss the how the music industry has evolved. As technology advance, the ability to consume content continues to progress as new streaming services arise. More and more control is being taken from the distributors and traditional middlemen of music, and being put into the hands of the artists themselves. 3:20 - The artists make the labels, not the other way around 8:20 - When you pop, do you have a second move? 14:45 - Traditional promotion ... See More has changed 21 - If you can entertain and inform, you’re a GOAT 27:30 - Relevance always matters Did you like this episode? 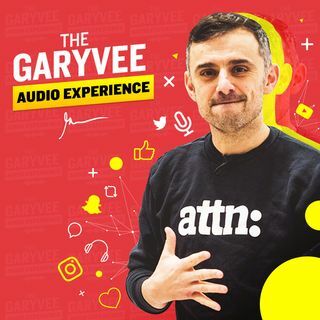 Tweet me @GaryVee with any and all feedback.